Using Intel’s 7th-gen Core m3 processor with 4GB of LPDDR3 RAM (you can top up to 8GB), the Chromebook x2 runs Chrome OS (like Acer’s Chromebook Tab 10), which also means you can download and use Android apps on it. 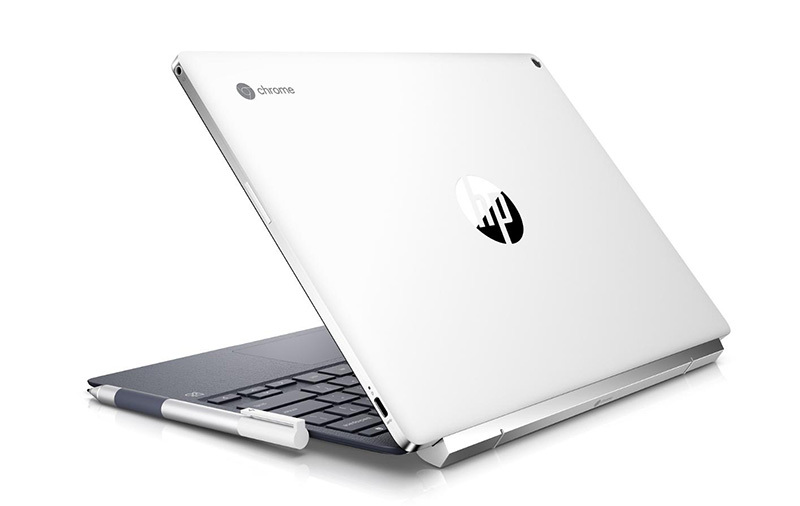 Just 8.2mm thin and weighing 730g in tablet form, HP Chromebook x2 also offers 10 hours of battery life. With the included full-sized keyboard attached however, the whole contraption becomes 15.3mm thick and steps off the scale at 1.4kg.